See pictures of the ticks that transmit Rocky Mountain spotted fever (RMSF). Plus, get tips on how to prevent RMSF. Rocky Mountain spotted fever is a disease carried by ticks that can be fatal if not treated. 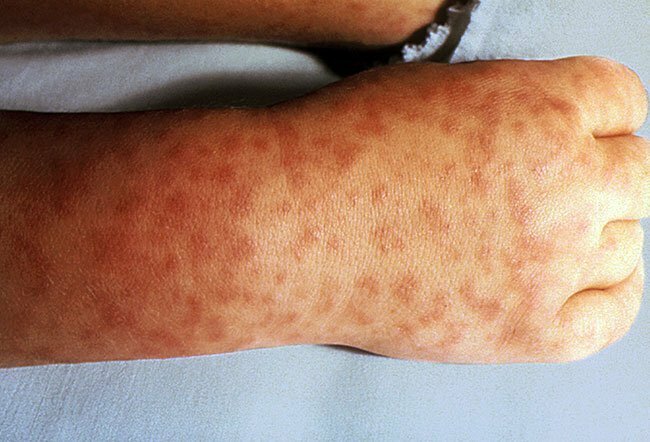 See pictures of the symptoms of Rocky Mountain spotted fever here. Please describe your experience with Rocky Mountain spotted fever. If you live in a region with ticks or previous outbreaks of RMSF, how do you try to prevent it? Please share your experience with RMSF, including the region in which you contracted it. Sometimes at the site of a tick bite, a persistent firm papulonodular lesion may develop. See a picture of Tick Bite Granuloma and learn more about the health topic.